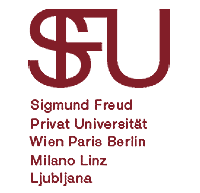 The Institute for Security Research and Crisis Management at Sigmund Freud Private University Vienna are committed to the objective of providing scientific studies on the security of society and environmental safety and of cooperating with as many organizations, institutions, and companies as possible, in order to make a valuable contribution to the systematization, deepening, and methodological validation of security-specific knowledge. Among the research activities is the analysis and refinement of methods of security policy analysis and the development of a framework for the analysis of risk from a theory of culture point of view. The results of the research projects should be as feasible and implementable as possible within society at large and the economy in particular, as well as for nonprofit organizations.